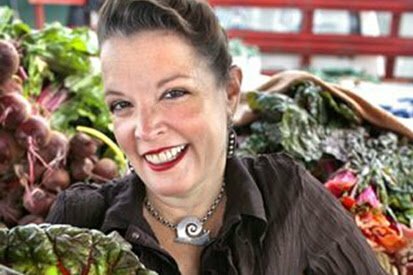 HAMMOND – Poppy Tooker, food activist and writer, will be the featured speaker at the annual Friends of Sims Library’s Marjorie Morrison Memorial Members’ Tea on Saturday, March 4, at 2 p.m. at Southeastern Louisiana University’s Sims Memorial Library. Guests will enjoy a variety of teas and a selection of delectable sandwiches and pastries. Her other books include “Tujague’s Cookbook: Creole Recipes and Lore in the New Orleans Grand Tradition;” “Louisiana Eats! : The People, the Food, and Their Stories;” and “Madame Begue’s Recipes of Old New Orleans Creole Cookery.” She was recognized by the “Times-Picayune” as a “Hero of the Storm” for her work reviving New Orleans restaurants and food providers following Hurricane Katrina. The International Association of Cooking Professionals recognized Tooker’s rebuilding efforts at their annual conference in April 2008, with their first-ever Community Service Award. For over 25 years, her cooking classes have centered on history and tradition as well as the food science behind her preparation. The tea is free to members of the Friends of Sims Library. Non-members may reserve a seat for $25, which includes a one-year individual membership in FOSL. Unlimited mimosas will also be available for $10. Reservations must be received by Wednesday, March 1. To reserve a seat or to find out more about FOSL, please call Janie Branham at 549-2186 or email FOSL@southeastern.edu.